The outcome of the popular vote cast on 23 June 2016 will be remembered as the start of a new era in the history of UK-EU relations. Although much uncertainty abounds as to the ‘how’ and ‘when’ of the unprecedented procedure of a member state leaving the EU, a few downsides and pitfalls can already be identified in terms of the implications for the European pharmaceutical sector and the impact on how pharmaceutical companies do business in and with the UK. An immediate implication of the UK leaving is the need to relocate the currently UK-based European Medicines Agency (EU institutions and bodies have to be based in an EU member state). From the UK’s side, UK regulators (the MHRA, NICE, NETSCC and HIS) will lose their membership to the European regulatory networks, such as the Heads of National Medicines Agencies (HMA) and the European Network for Health Technology Assessment (EUnetHTA). More generally speaking, nor will the UK have a seat at the table where all major EU decisions are made, meaning that the UK will have no voice regarding the adoption of new rules or the revision of existing ones governing the EU pharmaceutical sector. Only when the approach the UK will take becomes clear will we fully understand the extent to which EU pharma legislation will continue to apply in the UK post-Brexit. However, considering the over 40 years of ‘acquis communautaire’, it is extremely unlikely that the UK will no longer wish to be able to rely on the European Internal Market and the free movement of medicinal products. Of the two available options - the Norway and the Swiss models - the Norway model implies the UK joining the European Economic Area (EEA), whose member countries (currently Norway, Iceland and Liechtenstein) agree to implement EU legislation, to acknowledge the EU administrative decisions and to comply with the case-law of the Court of Justice the European Union related to medicinal products. Opting for the EEA model will, for instance, enable pharmaceutical companies based only in the UK to benefit from the new harmonised procedure for approval of clinical trials channelled through the EU portal and to access and share clinical trial information through the EU database. The Swiss model, on the other hand, entails the UK re-joining the European Free Trade Association (EFTA). This does not imply the automatic application of EU pharma law - a key business implication of this is that businesses will have to obtain a separate authorisation from the UK regulatory authorities to sell medicinal products in the UK, as it will not be possible to rely on EU marketing authorisation decisions. However, this model will enable the UK to continue to benefit from the free movement of goods. In short, the EEA solution permits, at least in the pharma sector, a swift and smooth transition to a legal framework that will differ only slightly from the current one. Pharma companies with their registered office or manufacturing sites in the UK will be deemed to be established in the EU/EEA. Likewise, clinical trials conducted in the UK will be deemed to be conducted in the EU/EEA. In a different scenario, with the UK outside the EU/EEA, the UK pharma industry (R&D, clinical trials, manufacturing, marketing, distributing, etc.) will mainly be governed by UK legislation and ad hoc provisions under UK―EU bilateral agreements. In the latter case, UK-based pharmaceutical companies with no other offices or manufacturing plants in the EU/EEA may do well to consider relocating to an EU/EEA country in order to continue benefitting from the advantages that come with being established in the EU/EEA. The implications of not relocating are significant for companies that rely on clinical trials conducted in the UK to support an EU marketing authorisation application, as Pharma business conducted in the UK will be considered conducted in a third country. This means that, among other things, in order to rely on clinical trials, the applicant will have to demonstrate that they were conducted in compliance with at least EU equivalent standards. Export of active substances from the UK to the EU will be subject to the active product ingredient (API) requirements under the EU Falsified Medicines Directive (2011/62/EU), and transfer of patients’ personal data between the UK and the EU will be governed by the rules applicable to the transfer of personal data outside the EU. From the UK perspective, building a flexible, up-to-date and attractive post-Brexit environment for the pharmaceutical industry will be a major challenge that the UK government will have to face in the coming months if it wants to remain a major hub for R&D and the manufacture and trading of medicinal products. 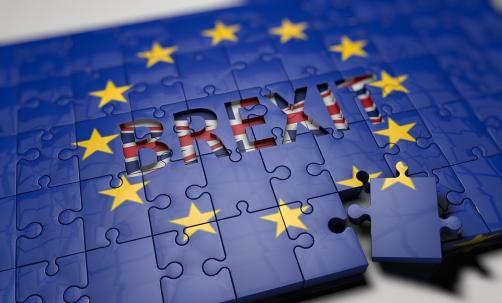 Although, until the UK triggers Article 50 of the Treaty on the Functioning of the European Union (TFEU), it is difficult to fully appreciate all the implications of Brexit, now is definitely the time for pharmaceutical companies to start preparing for it, not only because the UK-EU divorce seems irreversible at this point, but mainly to identify and test the best possible business continuity strategy to adopt in the post-Brexit pharmaceutical landscape to come.